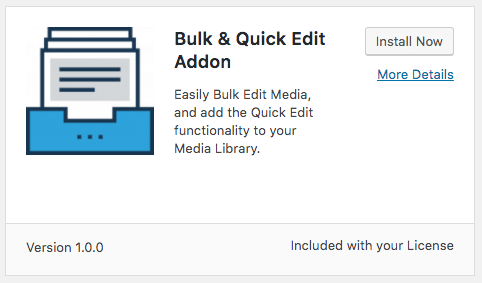 Don’t see Media Library Organizer in your WordPress installation? Make sure you have installed Media Library Organizer first. Don’t see an Install Now button, and see a button to upgrade your license? 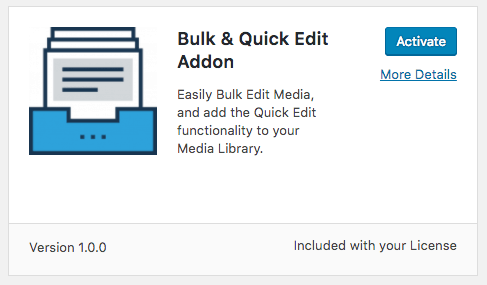 You’ll need to click this to be taken to the Media Library Organizer site to upgrade your license. For the Addon you want to activate, click the Activate Now button. 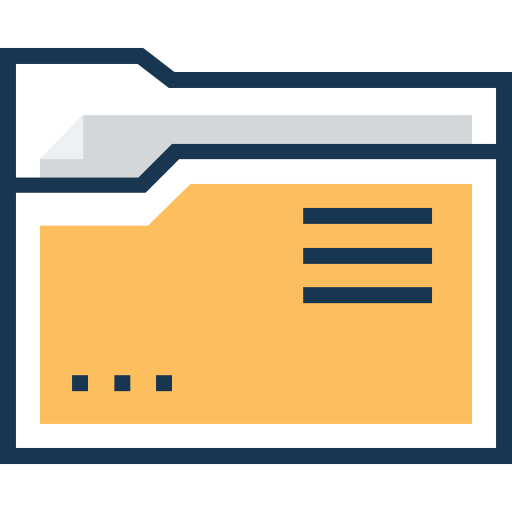 If you prefer to install Addons using a deployment process using version control (Git), FTP or another method, you can manually download the latest version of your purchased Addon(s) through your Account.